Looking for the perfect place to hide in the woods? 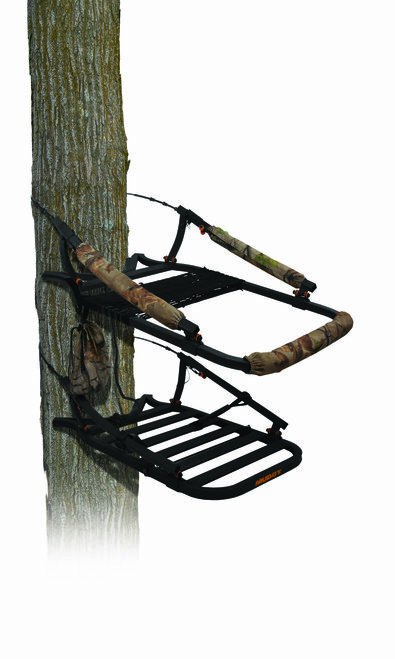 Whether you need a box stand, portable, climber, ladder stand, or climbing stick, R&L Archery has you covered! 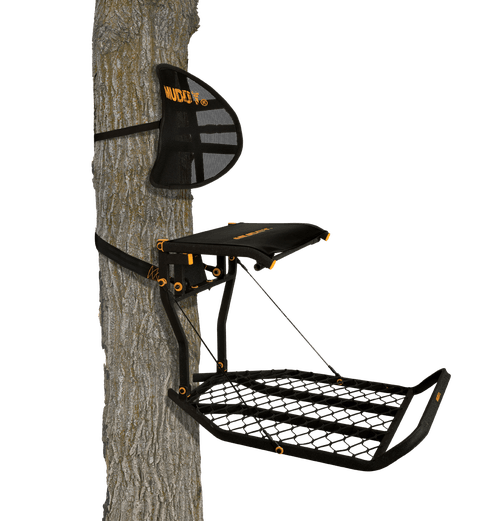 We are currently featuring Muddy tree stands, which not only offer the latest and greatest features of the industry, but truly revolutionize tree stands that present hunter-driven specs never before brought to the table. 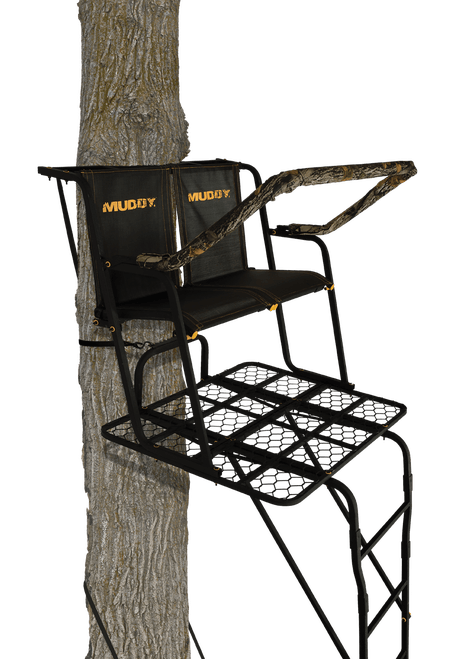 Muddy tree stands feature stands that offer platform adjustments, seat adjustments, waterproof seats, accessory bags, silent straps, and footrests. Available in both steel and lightweight but strong aluminum construction. 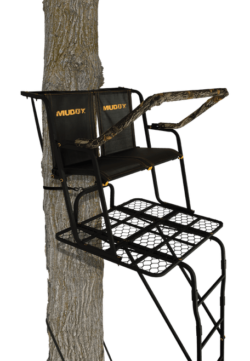 The best part of their ladder stands is the very comfortable seat! 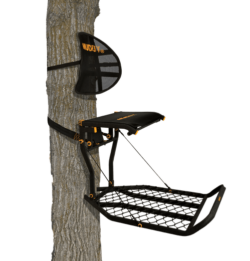 All tree stands come with a TMA (Treestand Manufacturer’s Association) approved safety harness; double stands come with two. Never buy a treestand that is not TMA approved, and always wear a full body harness–your life depends on it. Ground blinds are available in three basic styles: chair blind (one- or two-person), pop-up blinds (dog house, for example), and hub blinds. We carry them all and generally have some set up on the floor. The biggest challenge on these blinds is to get them back into their carry bag after use. We can show you how! And every blind needs a chair or stool in it to sit on. We have multiple choices for those as well.